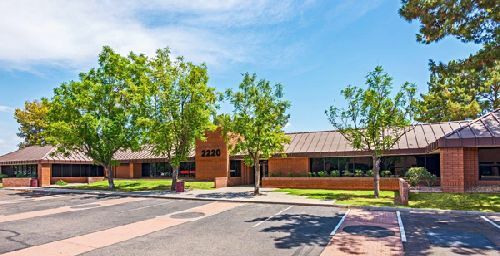 Fiesta Tech Business Centre, a 91.5k sf office campus in Mesa, AZ, sold for $11.375 mil ($124/sf). The property is located at 2150-2220 S. Country Club Drive. Built in 1986 and 1991, Fiesta Tech Business Centre is a four-building, single-story suburban office property located on State Route 87, offering major street frontage along Country Club Road. The property is currently 94.3%occupied by a wide range of tenants, including companies in the legal, healthcare, government/nonprofit, aerospace, education and financial services industries. Fiesta Tech Business Centre was renovated in 2018. Upgrades to the common areas, restroom and parking lot positioned the project to capitalize on the strong Southeast Valley market. Bob Buckley, Tracy Cartledge and Steve Lindley of Cushman & Wakefield’s Phoenix office negotiated the transaction on behalf of the seller, Birtcher Anderson Realty, out of San Juan Capistrano. Jim Zemezonak of Boulder Realty Advisors repped the buyer, a private investor in North Hollywood.